In what has now been five years writing about apps for a living, I’ve been pitched variations on the ‘see where your friends are on a map and get together with them’ idea countless times. What makes new iOS release HopOver notable isn’t so much the concept, then, it’s the fact that it comes from navigation giant Telenav. 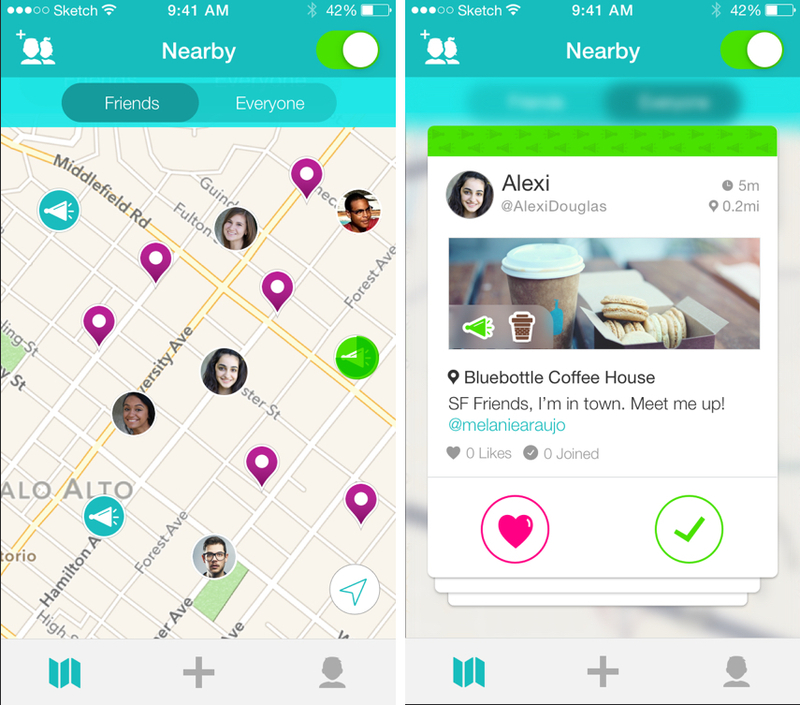 Aimed at teens and young adults, the app allows you to share your current location by posting a ‘hop’. Friends can then message you and arrange to meet you, and there are stickers and a tagging feature. It’s all very familiar to be honest, but Telenav hopes to make a splash with marketing targeted at US universities in the coming weeks. Given that nothing like this (other than Foursquare) has ever quite had a lasting impact, it’s easy to dismiss HopOver, but maybe Telenav can find a formula to succeed where many others have failed.